Worthy of heirloom status, you are sure to fall in love the sheer beauty of this floral side tiara. 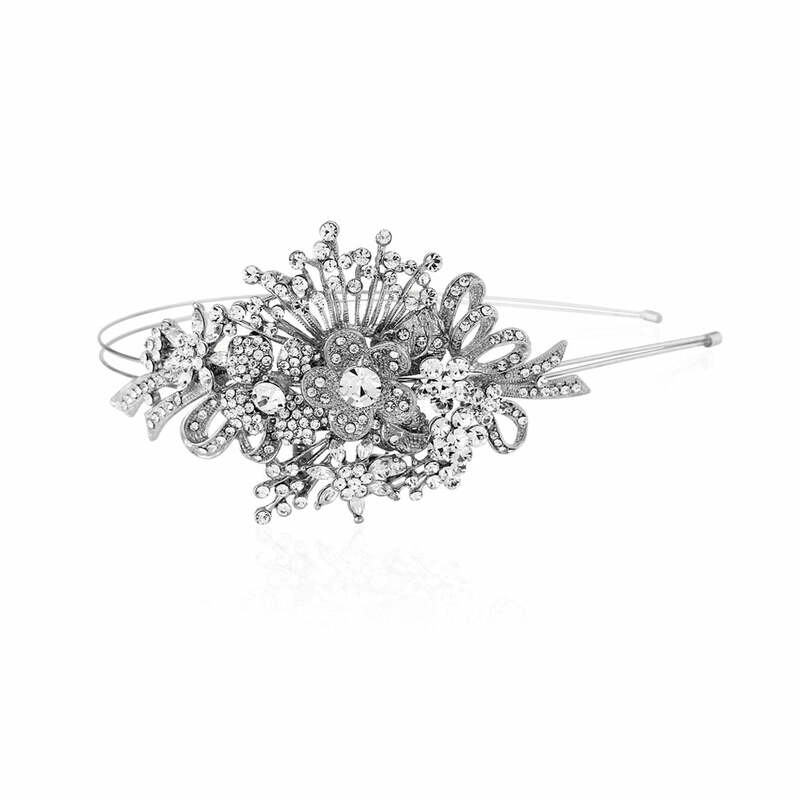 Capturing the beauty and sophistication of hair accessories from bygone eras, our Bouquet of Elegance Side Tiara is a ‘piece’ which will amaze you with every one of its sparkles. Set on a double band this stunning floral silver side tiara features two Austrian clear crystal encrusted flowers, set amongst studded sprays and crystal adorned ribbons. Brides who adore vintage wedding accessories worthy of heirloom status are sure to fall in love with the show stopping style of Bouquet of Elegance. 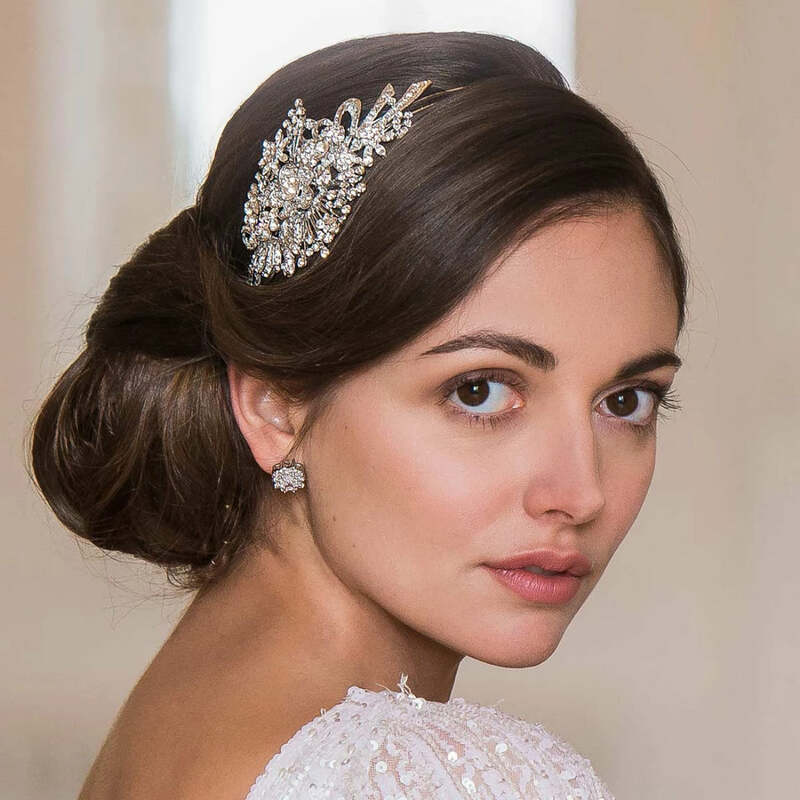 Whether you are wearing your hair loose in soft waves or going for a chic up-do such as a side bun or loose chignon, this romantic headpiece will dress every bridal hairstyle with timeless class. Team with a pair of crystal earrings and a sparkling pendant and you will be sure to get gasps of delight as you glide down the aisle.